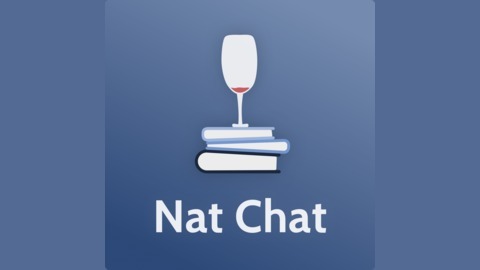 In this season of Nat Chat, Nat Eliason and guests seek to provide another path for college students and recent grads who feel the system failed them. Each week, we'll explore new aspects of college, work, independence, and how you can design a post-grad life you’re excited about, instead of one that you fall or are pushed into. It’s the consistency over a long period of time where you really start to see the breakthrough. 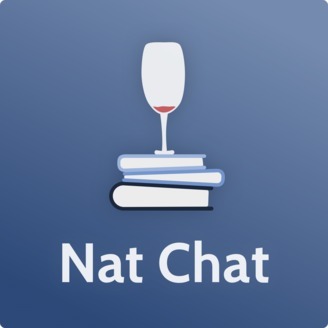 In this episode of Nat Chat, I’m joined by Nasos Papadopoulos. Nasos attended Oxford University, where after a while, realized that being on the path with finance and economics just wasn’t for him. He took a long break to travel and explore new opportunities, eventually getting into meta-learning and the science of learning. He started the site Metalearn.net where he educates other people on learning more effectively and efficiently. He also has a popular podcast and a course on the topic, all focused on helping people get better at learning. Nasos is an excellent guy to learn from for those wanting to learn more effectively and efficiently, stay motivated, and getting to know their learning strengths and weaknesses. And much more. Please enjoy, and reach out to Nasos on Twitter! If you enjoyed this episode and our discussion on learning and self-education, be sure to check out my episode with Zak Slayback, and my episode with Connor Grooms, where we delve into these topics and more. 1:19 - Introduction to Nasos, him detailing his schooling experiences and time at Oxford University, and then rethinking his whole perspective on the educational system. 7:30 - How Nasos’ perspective on continuing to work in the financial field changed, after barely missing a top score on one of his finals. Also, a bit on his traveling experiences and what he did after having this huge change in perspective. 10:33 - How Nasos was paying for travel and a few of the impactful books he read shortly after leaving the financial field. 12:18 - How and when Nasos first began his company, MetaLearn. 13:32 - Some of the most important lessons that Nasos has learned from studying the science of learning. 16:44 - Neuroplasticity, the growth vs the fixed mindset, and some explanations on these. Also, why the growth mindset can be harmful towards learning. 19:30 - Using some of these techniques for improving your language learning, speculation how much of a role IQ plays, and some thoughts on intelligence in general. 24:18 - Figuring out your own strengths and weaknesses with learning, re-evaluating yourself, and self-analyzing with external perspectives on yourself. 28:06 - Nasos’ personal experience with self-awareness and learning that there isn’t a one-size-fits-all. 29:50 - What Nasos has been doing to be more self-aware and other-aware. 31:23 - Nasos detailing a few examples of learning based on making connections to past knowledge. Also, how Nasos has applied Hebb’s Law. 34:05 - The gamification of learning (Duolingo, Codecademy, Sesame Street) and Nasos’ thoughts on this. 40:26 - Nasos’ advice on letting go of the sunk cost of investing heavily in something that you didn’t enjoy doing or wasn’t meaningful to you. 43:37 - Nasos’ current long-term goals with Metalearn and other projects. Also, a bit on systems-based thinking and Nasos’ advice for others looking to become more effective with learning in general. 48:55 - Wrap-up and where to find Nasos online. When it has meaning to you, the other motivational stuff just becomes irrelevant.